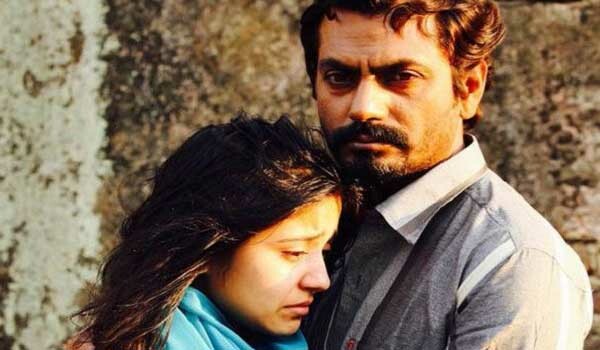 WHEN Nawazuddin Siddique and Shweta Tripathi-starrer Haraamk-hor walked away with a Silver Gateway Award at the 17th Jio MAMI Mumbai Film Festival a few months ago, there was more to celebrate. A teacher-student love story set in rural India, the film, directed by debutante Shlok Sharma, predictably found itself rubbing the Censor Board on the wrong side, with the latter refusing to certify the film. After being offered an A certificate with five massive story-altering cuts to negotiating a UA certificate from the Film Certification Appelate Tribunal, the film, as its producer Guneet Monga (the name behind stellar films like Masaan and Gangs of Wasseypur) confirms, is all set to hit theatres next week. Here she talks to us about the experience of this film and what the new year holds for her. ai?? ?The whole Censor Board fiasco was shocking. We didnai??i? ?t understand why we were told we wouldnai??i? ?t get certified right in the first round,ai??? says the co-founder of Sikhya Entertainment. The film was crowd-funded, meticu-lously planned and shot in 16 days and promoted thereafter. She echoed the concerns of many filmmakers including former business partner Anurag Kashyap as she pointed out, ai?? ?What is it that people canai??i? ?t see in 2016-2017, when digital explosions are happening all over? We are filmmakers and we want to communicate. None of these are vanity projects. When itai??i? ?s nipped in the bud for no reason, it irritates everyone. We spend so much time and effort in trying to tell a story and can never be prepared for a butchering.ai??? Guneet, who was busy promoting Visaranai until earlier last month, isnai??i? ?t disheartened by the countryai??i? ?s run at the Oscars, calling it a step in the right direction. ai?? ?One thing we can and should do is probably approach American distributors to be a part of our project. Oscars are an American award, so we have to catch the market,ai??? adds the BAFTA nominee. Lauding the Malayalam, Tamil and Marathi film fraternities for the quality content they are churning out, she picks Vasanthabalan as a filmmaker sheai??i? ?d love to collaborate with. Guneet is looking to experiment with other languages and has two English films ai??i?? The Ashram with Radhika Apte and Kal Penn, and Darkness Visible with Sayani Gupta in the making.